The Printers Mysore is led by a management council and an executive team. The Management Council comprises three full-time directors K N Tilak Kumar, K N Shanth Kumar and Parul Shah. Director, Editor of Deccan Herald and Sudha. 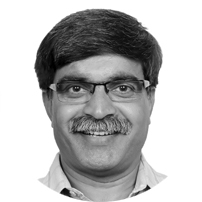 Tilak Kumar has nearly four decades of experience in the newspaper industry. He has been on the management at The Printers Mysore as a director since 1978. Known for his dynamism, he has been responsible for the growth of Prajavani in rural pockets of Karnataka. He is a former president of the Indian Newspaper Society and has been affiliated with other industry bodies. Tilak also brings with him the experience of chairing the KNG Trust started by his grandfather, late K N Guruswamy, a toddy businessman, publisher and philanthropist. The KNG Trust is a not-for-profit entity that operates the Ashram School, Deccan International School and Nettakallappa Aquatic Center. Director, Editor of Prajavani and Mayura. Parul Shah has been a director at The Printers Mysore since 2001. 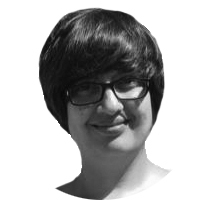 She has overseen the development of the Deccan Herald student edition over the last decade. Hari Kumar is the advisor to the Management Council as well as the next generation of the Kanekal Nettakallappa family, who are in various executive roles at the group. 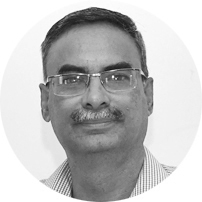 Hari Kumar is the former editor-in-chief of Deccan Herald, Prajavani, Sudha and Mayura and former chairman and managing director of The Printers Mysore, which he has been a part of since 1978. He is a journalist and writer with interests in history and economics. He has edited and contributed to books on free speech, media freedom and jurisprudence in India. Karthik is the Chief Executive Officer of The Printers Mysore. His mandate is to drive strong business growth and re-cast the company into a future-ready, digital-era media powerhouse. 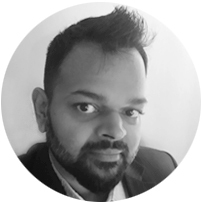 Karthik brings deep Sales, Operations, Strategy and Marketing experience into his current role. His strengths lie in strategy formulation, developing high-performing teams, driving business transformation, building brands, delivering digital makeovers - all this with a strong focus on execution excellence. Prior to his current role, Karthik spent 8+ years with the Mahindra group in Mumbai. In his last role with the group, he was the custodian of the corporate brand. Prior to joining Mahindra in 2008, Karthik spent 11 years in Sales and Marketing in companies like Monsanto, Lafarge and Dabur Ayurvet. Karthik has a degree in Agricultural Sciences from UAS, Bengaluru and a post-graduate Diploma in Management from IIM Ahmedabad. 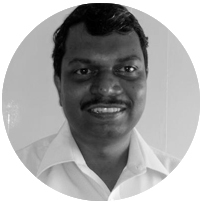 Kaliyuga Easwarasamy V (Easwar) is Chief Financial Officer of The Printers Mysore. His mandate is to support CEO and the Board to shape the overall strategy of the Company besides bringing cost efficiencies across divisions and implementing good corporate governance. He also oversees legal & secretarial functions. Easwar comes with significant experience in formulating strategy, financial planning, mergers & acquisitions, financial control and implementing latest tools and technologies to make the finance operations more efficient and effective. Prior to his current role, Easwar spent 8+ years with Pearson Plc in India and London. His last role with Pearson was VP-Finance for Growth markets overseeing 40+ countries FP&A function. 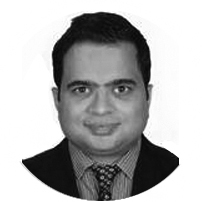 Prior to joining Pearson he spent 4 years in Equity research in Crisil Ltd. Easwar is a qualified Chartered Accountant and Company Secretary and national rank holder in both CA & CS. Chief Operating Officer - Digital. Arpan plays a pivotal role in driving the organisation forward on the digital initiatives of the group and he reports to the CEO. 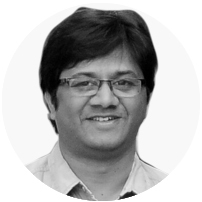 Arpan, with over 20 years of experience is a media specialist with diversified experience across leadership roles in Indian media companies and new economy businesses. He previously led and managed the digital media business with The Hindu Group of Publications across all media properties and platforms. 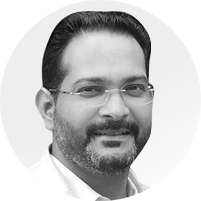 He has been CSMO for a group publication of one of India’s largest media brand – Dainik Jagran, prior to which he headed the Inside Sales & marketing function across North America & Asia markets with an eBay partner company. As a internet start-up specialist & associated with the digital landscape since 1999 he was a part of the startup team at Webdunia , which was India’s first Indian Language internet portal & technology services company and as Sales Head & maximized the operation of Dice Inc in India which was a joint venture with CyberMedia Group, creating India’s first IT job portal. Arpan started his career with Times of India. Listening and researching on contemporary jazz music is his favourite hobby. Oliver has 24 years of experience in the newspaper circulation (sales and distribution) function in various companies. He oversees the sales operations in Karnataka and New Delhi. He is focused on executing innovative strategies in the market, building a high-performance team and is responsible for subscription revenue generation across the region. 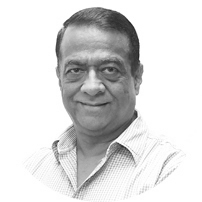 Previously, he has worked at Bennett Coleman and Co. Ltd. for 20 years and was instrumental in launching and re-launching various editions, including the Bengaluru edition of The Times of India in 1996. He had a short stint at Diligent Media Corporation, where he was responsible for launching DNA in Mumbai (2005). He successfully launched and sustained The Times of India’s Goa edition for five years (2008-14), while also overseeing parts of southern Maharashtra. 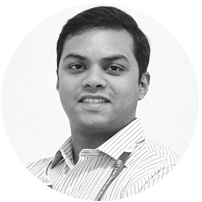 Oliver is a native of Mangaluru and graduated in economics from Mangaluru University. General Manager – Advertisement Sales. 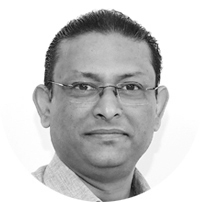 Since 2009, Sudip has been responsible for steering and overseeing advertising revenue growth and initiatives for publications by The Printers Mysore. His mandate includes development, supervision and providing strategic direction to all marketing revenue verticals. He oversees advertising sales and provides strategic direction for initiatives to support revenue growth. 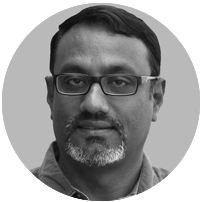 He has 23 years of experience in various media houses, including Bennett Coleman and Company Ltd. and The Indian Express Group(Mumbai). 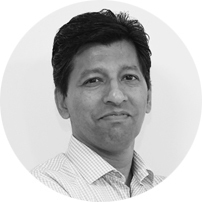 Sudip Nag hails from West Bengal and is a Commerce (Hons.) graduate from Calcutta University. General Manager – Brand Strategy and Development. Harsh joined The Printers Mysore in July 2016. 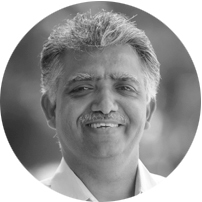 His core work areas as a brand custodian are to build The Printers Mysore brands among the B2C and B2B audiences (brand strategy, brand plans, brand architecture, brand communication, salience and engagement among B2B audiences); build overall strategic product road map for a winning product portfolio (Deccan Herald, Prajavani, Sudha and Mayura); manage events, activations and strategic partnerships effectively to help build readership and revenue; and measure brand health, understand reader/advertiser insights and create actionables for both brand and product improvement. Through his work, Harsh has evolved into a marketing expert with 17 years of successfully driving growth across consumer goods and media industries at companies like UB Group, Mattel (India) and HT Media. He has worked with the Hindustan Times in Mumbai for a decade and was instrumental in increasing the circulation figures. Harsh grew up in Mumbai and has a mechanical engineering degree from Pune University, followed by a masters in management from Mumbai University. 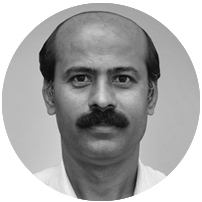 Srinivas joined The Printers Mysore in 1991 in the production department and has overseen the materials (purchase) and production (printing) departments. He currently oversees all the printing operations for the company. He started his career in 1986 in functions like planning and engineering for industries like Gogate, Arlem and Tata Metals & Strips Ltd. Srinivas is a native of Guntur, AP and is a mechanical engineer from Nagarajuna University. He completed an executive leadership programme from the Indian School of Business in 2010. 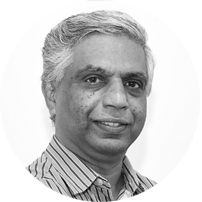 Lal has a graduate degree in Electronics & Telecommunications Engineering. He also has an MBA in Materials Management and has completed his executive management degree (PGPX) from the Anderson School of Management, UCLA. He has more than 10 years of experience in both, operational and strategic roles spanning the entire gamut of supply chain management & materials management functions. Prior to joining us, he was with the Aditya Birla Group with whom he has had stints in Mumbai, China & Laos. General Manager – Information Technology. ERP : standardization of the ERP system to enable the business to scale and driving business process efficiencies. Infrastructure : delivering a robust Infrastructure platform that can provide a stable & secure environment including migration to Cloud. 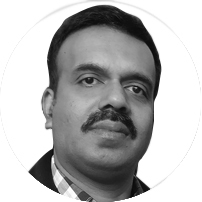 He has 15+ years of rich & varied experience across multiple domains like Digital, Applications & IT Infrastructure functions, IT strategic planning and implementation of ERP solutions across multiple geographies. Amar has a B.Sc. (Hons) in Computing from University of Sunderland, United Kingdom. Head of Data Science and Insights. 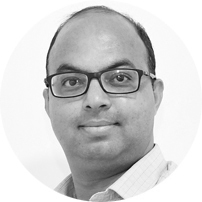 Kundan is an experienced analytics and insights professional with Business acumen, Analytical expertise and Methodological knowhow to outline strategies, uncover new opportunities to help businesses drive profitable growth. In a career spanning more than a decade he has partnered across cultures, stakeholder hierarchies, and time zones in 40+ countries with 100+ CXO engagements managing complete lifecycle of global consumer insights and consulting assignments. 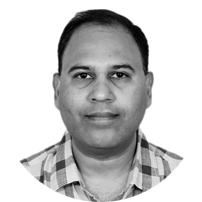 In his current role as Head of Data Science and Insights, under Karthik’s leadership and guidance, Kundan is leading the transformation of TPML into a world class data-driven and consumer centric organization. Nikhil Kanekal currently leads digital business initiatives at The Printers Mysore. He is working closely with the CEO and senior leadership on a mandate to transform a legacy business into a diversified digital-era media company. He started his career as an editorial intern at The Hindu and later at CNN-IBN (now CNN News18). He was a journalist at Mint (New Delhi), where he covered the Supreme Court of India, Delhi High Court and lower courts. Prior to taking up his executive role, he worked as a sub-editor at Deccan Herald’s state and nation desks. 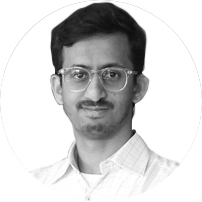 Nikhil is a law and humanities graduate from Symbiosis Law School, Pune and has a master’s degree in investigative journalism from Columbia University’s Graduate School of Journalism in New York. 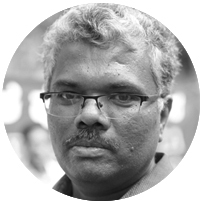 He teaches part-time at the Asian College of Journalism (ACJ) in Chennai and is the convener of the ACJ Awards for Investigative Journalism. 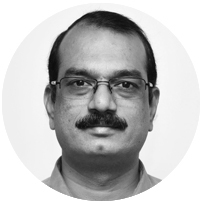 Vishnu Kumar is responsible for managing special projects at The Printers Mysore, including strategic recruitment, team restructuring, civil engineering projects, new technology implementations and brand architecture. Vishnu is also the managing trustee of the KNG Trust, a not-for-profit entity that manages the Ashram School, Deccan International School and Nettakallappa Aquatic Center. Previously he was a project architect with L & S Architects for two years, where he oversaw retail, industrial and hospitality projects in Tamil Nadu and Karnataka. Vishnu has a bachelor’s degree in design from Deakin University, Australia. He is currently on a sabbatical, pursuing a master's degree in strategic design management from Parsons The New School in New York City. Chaitanya is involved in various business planning and strategy projects at The Printers Mysore and works closely with the directors. He has a degree in economics from the University of Chicago. Associate Editor – Deccan Herald. Since joining Deccan Herald in 1990, Arun has followed closely the unfolding of several events of national and international importance mainly in Delhi where he was Chief of Bureau and Political Editor of DH. He is keenly interested in critical analysis of events, mainly political, from an all-India perspective. Having covered Parliament regularly, Arun was made chairman of Lok Sabha Speaker’s Media Advisory Committee in 2004-05 after serving as its member for two terms. In his journalistic career, he has covered a variety of key developments including the 2002 communal riots in Gujarat or the innumerable number of elections for Assembly and Lok Sabha across different states. Arun has visited several countries, many of them to cover the visits of Indian prime ministers besides bilateral and multilateral summits. Mohan has over three decades of experience in journalism. He has worked with Newstime in Hyderabad and with United News of India in different bureaus. 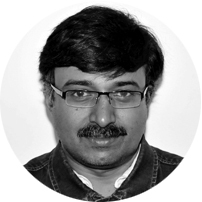 He has been with Deccan Herald for over 11 years in different editorial roles. 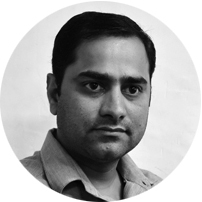 Currently, he is Senior News Coordinator and interacts with bureaus in Delhi and in Karnataka and is in regular touch with correspondents in state capitals to ensure comprehensive coverage of all major developments. He uses his vast experience to provide better insight into developments and add value to reports. He is a Science graduate and has a degree in Library Science along-with a Masters in Mass Communication. Rajeev is responsible for the production of sports pages as well as the weekly supplement - Sportscene. He has been with the organisation since 1994 and has reported on major sports events worldwide, including the Olympic Games and the Asian Games. Chethana heads the Features team responsible for bringing out the various supplements of Deccan Herald that cover art, culture, architecture, history, lifestyle, humour, travel, literature, entertainment, and much more. 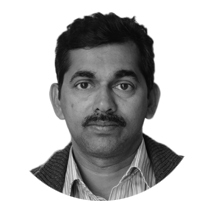 Raghunandan has over 16 years of experience in journalism. He started his career as a Staff Reporter in The New Indian Express, Bengaluru, in 2001. He joined Deccan Herald in 2003 and has covered a wide range of beats, including infrastructure, civic issues in Bengaluru and politics, in the past 16 years. He has been covering state politics and the state government for the past 10 years. City Editor and Head of Metrolife. S R Ramakrishna joined Deccan Herald in 2016. He works with city reporting, desk and digital teams and edits stories. In an earlier stint, he was sub-editor-Deccan Herald from 1989 to 1997. He has taught at Asian College of Journalism and has worked in a variety of news environments as Resident Editor-Mid Day, Deputy Resident Editor-Bengaluru Mirror, and Senior Editor-The New Indian Express. In the online space, he was Front Page Editor of Yahoo.com, and Founder-Editor of The Music Magazine. His interests include music and translation. His books are prescribed reading at several universities. 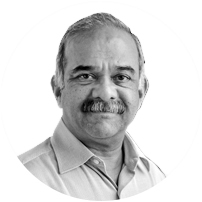 In his 22 years of experience as Business Journalist, he has worked across three leading business newspapers – The Economic Times, Business Standard and The Financial Express – and Deccan Herald in Bengaluru. He has worked in all aspects of print journalism such as reporting, editing, designing, page making and feature writing. He has covered a wide spectrum of businesses and corporates in Karnataka. Handling the Sunday special package 'Pointblank', Rasheed Kappan covers big picture stories on urban infrastructure and civic utilities, policy and mobility concerns with a sustainability focus. He also writes on aviation, technology and startups, arts, architecture and culture besides collaborating with designers to create info-graphic content. 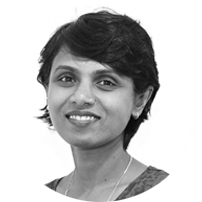 Suma Nagaraj joined Deccan Herald in 2017 with over a decade of experience in the digital content space. She has covered the gamut of media in the course of her career, with stints in music retail, editorial post-production work for Hollywood movies, and a two-year long research assistantship for a feminist theater director while in San Francisco. She was the social media lead, commissioning editor, and in-house blogger at Yahoo! India for over five years from 2006. She took a study sabbatical after her Yahoo! stint to pursue a Master's in Creative Writing from the University of San Francisco in 2012. An avowed bibliophile, Suma is currently working on her first book. She edits book-length manuscripts and teaches creative writing in her spare time. She is passionate about online conversation, coffee, music, and bookstore tourism. Suma enjoys working with words in spaces where language, literature, and communication coalesce. 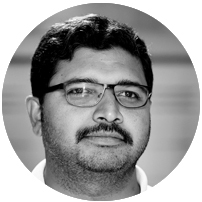 Sathish is responsible for sourcing of news stories, articles and photographs from the old Mysuru region and for covering Mysuru city, Mysuru district, Mandya district, Chamarajanagar district and Hassan district. He has been with the organisation since April 1, 2006. He has reported on problems of the region, and on development aspects. He has done stories related to polity, culture and heritage of Mysuru. 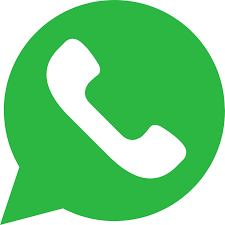 News Editor/ Chief of Bureau, Hubballi. 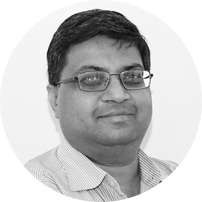 Anand joined Deccan Herald in 1996 at the Bengaluru office. In this two decades of service, he has worked in Bengaluru, and eight years in Kalaburagi, specialising in development reporting. At present, he is News Editor and Chief of Bureau of the DH Hubballi office, which has a jurisdiction of 16 districts - Shivamogga, Chitradurga, Davangere, Koppal, Ballari, Raichur, Haveri, Bagalkot, Gadag, Dharwad, Belagavi, Uttara Kannada, Vijaypur, Bidar, Kalaburagi, and Yadgir districts. Hubballi bureau is the only bureau after Bengaluru where the local pages are done (12 pages). Before joining Deccan Herald, he was a guest lecturer at Karnatak University in Dharwad in Mass Communication & Journalism for four years. He has Masters (MA) in Mass-Communication & Journalism, and in Social Work. He has been awarded with the Karnataka Media Academy award in 2015. He is also a member of the Dharwad District Sainik Welfare Board of the State Government. After completing his education, Nagaraja started working in local dailies in Mysuru. He joined Prajavani in 1993 and worked as Reporter, Hassan district Correspondent, Chief Reporter (Bengaluru), Chief Sub Editor and Chief of News Bureau in Hubballi. He completed his Masters in Journalism from Mysuru University, Mysuru in 1987. C G Manjula is a senior journalist working in PRAJAVANI for the past 34 years. Beginning her career as a sub editor/Reporter, she held different positions in the daily over the years. She was Staff Correspondent, PRAJAVANI – DECCAN HERALD in CHIKMAGALUR District. She was in-charge of SUDHA weekly, a sister publication of the group. She was also in-charge of weekly supplements - BHOOMIKA (women and Health) and SHIKSHANA (Education and Career) for about four years. Currently, she is the Associate Editor of PRAJAVANI. She looks after Editorial and Opinion pages. A Gold Medalist in B.A, Manjula has done her M.A., (English Literature) and B.lib.sc. From Mysore University. Before taking up journalism as career she worked as Librarian and Lecturer for a while. Manjula has published several insightful articles based on her research under National Foundation for India (NFI, Delhi) fellowship on GIRL CHILD. Her articles are included in ‘Assignment‘ - a book published by NFI. One of her articles on women’s property rights was included in Mangalore University text prescribed for under graduate degree students. Manjula has published many books in Kannada. ‘PRAGNA’ and DEHA RAJAKARANA are the books which contain collection of articles on Girl Children and Women’s issues. MATUKATHE is a compilation of interviews and interview based articles Two more books have been published by Karnataka Media Academy. One on DESK JOURNALISM (Desk Patrikodyama) and the other on Women in Kannada Media (KANNADA PATRIKA LOKA: MAHILE HEJJE GURUTU) . One more book - KARMIKA MAHILE - is delivered as a special lecture as part of Kavitha Memorial Award ceremony being held annually in Mysore. As a journalist, Manjula has visited several countries (Thailand, Sri Lanka, Malaysia, South Korea and West African Countries (Senegal, Ghana and Nigeria)) and has participated in workshops held in different cities of the country. She was also part of the media delegation which visited African countries (Ghana, Namibia, Ivory Coast) along with former President Pranab Mukherji (2016). Manjula was awarded Karnataka Media Academy award (2007) and UNFPA-Laadli Media Award for gender sensitivity (2008), Karnataka Rajyothsava Award (2013) and AMMA prashasti for the book MATUKATE (2013). 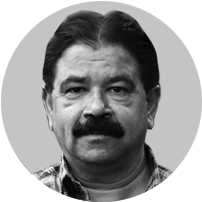 Ravindra Bhat started his career with Samyukta Karnataka as sub editor in 1990. 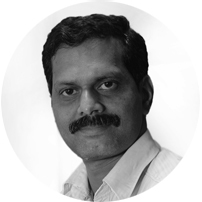 After serving as Sub-editor/ Reporter in Udayavani, he joined Prajavani in 1995. He has had multiple roles in the publication such as Sub Editor, Davanagere district correspondent, Mysore staff correspondent and Mysore News Bureau Chief. Ravindra Bhat completed his Masters in Mass Communication and Journalism from Karnataka University, Dharawad in 1990. A digital evangelist at heart and a journalist to the core, N A M Ismail believes in the synergy of both for a strong and powerful independent media. 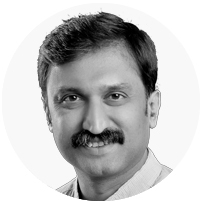 With over 20 years of experience in the field of journalism with a focus on digital communication, he has worked in some prestigious media organizations before his current stint with Prajavani, straddling the worlds of print and digital media successfully. He has also embarked on a journey in to the world of films as a script writer for several films, one of which bagged National and state award. N A M Ismail has Edited many Kannada books including translations, notable among which are U R Ananthamurthy’s ‘Sadya mattu Shashwata’ (ಸದ್ಯ ಮತ್ತು ಶಾಶ್ವತ), Aru dashakada ayda barahagalu (ಆರು ದಶಕದ ಆಯ್ದ ಬರಹಗಳು), Allinda Illige (ಅಲ್ಲಿಂದ ಇಲ್ಲಿಗೆ). 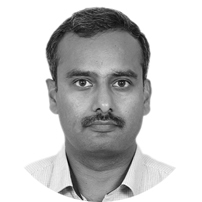 He is currently working as the Digital Editor of Prajavani and writes a fortnightly column on ICT and society. Nanjunde Gowda is in-charge of the State Political Desk with a six-member team. After obtaining his post graduate degree, he started working in local dailies in Mysuru. He later moved to Hubballi to work in an evening daily, Sanjevani. 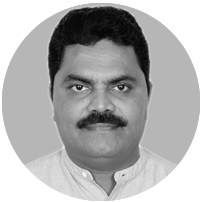 He joined Prajavani in 1992 and has worked in different capacities as Reporter, Sub- Editor (Bengaluru), Sub- Editor (Dharwad), Sub- Editor (Shimoga) and as chief of news bureau (Davanagere). He also worked in New Delhi from 2009 to 2016 before being posted to Bengaluru. 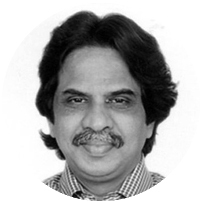 He completed his Masters in Journalism and Mass Communication from University of Mysore in 1987. News Editor, Bengaluru city bureau. G.D.Yatish Kumar hailing from Mandya, Karnataka has worked in different capacities in Prajavani for last 23 years. He is a Post-Graduate in Botany from Mysore University. 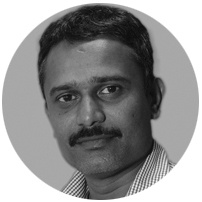 He joined Prajavani in 1995 as a Reporter and is currently working as a Special Correspont, heading Bengaluru city bureau. 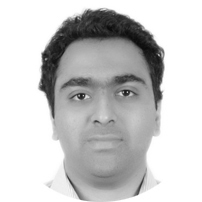 He has participated in several WAN-IFRA training workshops and has trained in Web Journalism, Data Journalism, New Layout, news report packaging and new techniques in reporting. He worked as an Internal Enquiry Officer in few cases in the organisation. His team won one lakh rupees from Namma Bangalore Foundation in 2016 for Bangalore-centric reports. He was also honored with Media Academy award in 2016. He is an avid wildlife photographer and has travelled all over the state, Tamil Nadu, Kerala, Madya Pradesh, Leh in Jammu and Kashmir for the same purpose. He has a vast collection of Wildlife photographs. He is deeply concerned about forest dwellers and has conducted free eye camp for Soliga community in Biligiri Rangana Betta with the help of the Forest Department. 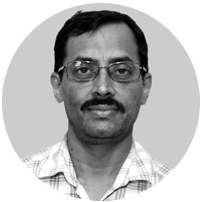 Keshav joined Prajavani in 1990 and in the 27 years of his career he has worked in various capacities and is currently heading the Business Desk. He has an M.A. degree in Economics from Karnataka University in Dharwad. Reading literature, listening to music and watching comedy shows are his favorite hobbies. He started his career as a Reporter with Prajavani in 1992 and since then, has held various positions in the organisation. A post graduate in Social Work (MSW) and Communication studies (BS Communication) from the University of Bengaluru, Udayakumar has experience in working for PRAJAVANI SUNDAY SUPPLEMENT. He also has rich experience as Chief Correspondent for Belagavi district, as Principal Correspondent at Bengaluru, as Chief of State Bureau for reporting at Bengaluru. Udayakumar has also worked with Sudha and Mayura. 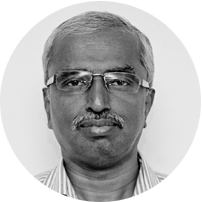 He is presently a senior member of the team that looks after the Editorial/Opinion page of Prajavani. His areas of interest include Politics, Cinema, Sociology, Culture and Literature. Chief of News Bureau, Mangalore. Balakrishna heading the Mangaluru Bureau covering four districts of Dakshina Kannada, Udupi, Kasargod and Chikkamagaluru. He has 25 years of experience in the field of journalism. 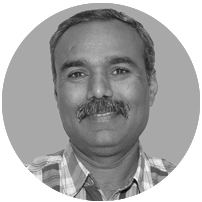 He joined Prajavani in 1998 and has worked in various capacities such as District Correspondent, General Desk Shift Head and Chief Sub Editor. Before joining Prajavani, he had worked with Hosa Digantha and Samyukta Karnataka. Chief of News Bureau, Tumakuru. Sidde Gowda has been working with Praja Vani for the last two decades in various capacities as a journalist. 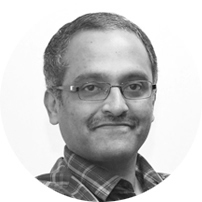 After completing his Masters programme in Economics, he joined Prajavani in 1997 as Trainee Reporter / Sub-Editor. Between 2001- 2006, he was posted as District Correspondent in the sensitive Chamarajanagara district, when forest brigand Veerappan terrorised the region. He had a stint in the HQ of Bengaluru as the Chief Reporter, Bengaluru City Bureau. He has written on diverse topics including politics, forest, tribal issues, civic problems, urban transportation and management; municipality issues; Bengaluru Development, Metro Rail Project and other city issues. He has reported extensively on the state's political developments, has analysed political issues, and has also undertaken legislature reporting. Chief of News Bureau, Mysore. 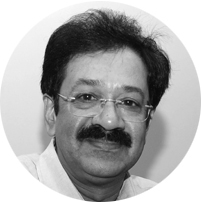 K J Mariyappa has been working for Prajavani since 1997 January. During his stint in the organization, he has worked in Bangalore, Kolar, Mysore and Tumkur. He was born on 23rd June and hold an M.S. Communication degree from Bangalore university. Chief of News Bureau, Kalaburagi. Sudesh has been writing a column by name ‘ESHANYA DIKKININDA’ every fort nightly for the past 50 weeks. My passion is writing. I enjoy writing narrative stories, travelogues and articles and stories related to rural India. I love traveling and meeting new people. Recently I had been to South Africa. My favorite hobbies are reading books, listening to music and meeting interesting people. I am a post graduate in Political Science from University of Mysore. Chief of News Bureau, Davanagere. Chief of News Bureau, Hubballi. 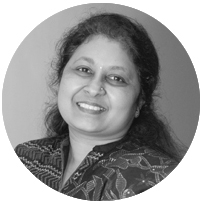 B.N.Sreedhara has over 20 years of experience as a Journalist. After getting a Masters degree in Journalism and Mass Communication from the University of Mysore, he joined Prajavani in 1997. He started his work as a Reporter/ Sub-editor in Bangaluru. Thereafter he worked as Crime Reporter in Bangaluru. From 2004 to 2007, he worked as District Correspondent in Mandya. During this time, his reporting on illegal mining received Karnataka Media Academy Award. He moved to Bangaluru where his reporting on politics, governance, developments in political parties (Congress, JD(S), BJP), cabinet briefings, legislature reporting, ministerial level decision were widely read. He moved to Hubballi in May 2016, and took over as Hubballi Bureau Chief in May 2017. Chief Reporter, Sports Section, Bangalore. Girish joined Prajavani in April 2003 as Trainee Reporter/ Sub-Editor at Hubli. After having worked in the Hubli office for 8 years and the Mysore office for 4 years, we has been an instrumental part of the Sports section in the Bangalore office. Through his career, he has covered various international sport events including Sachin’s record breaking ODI double century in 2010, Virendra Sehwag’s ODI double century, India’s historiacal win in the Border Gavaskar test series (2014). He has also covered IPL, KPL, Pro-Kabaddi and other sporting event at national and state level. He has a B.Com degree and M.A. degree in Mass Communication and Journalism. Shailaja Hugar is a Post Graduate in Mass Communication and Journalism from the Karnataka University, Dharwad. She also has a Diploma degree in Translation from the same varsity. Now enrolled into part time Ph.D studies from the same varsity. After joining TPML group in the year 2000 as a trainee journalist, Shailaja has worked for General desk (that looks after national and international news), Moffussil (that looks after rural reports) and Commerce Desk for around eight years. She has also worked for Sudha - a weekly magazine of TPML group, Sunday supplement, cinema supplement, Bhoomika, health and education, and various other supplements of the Prajavani daily for more than eight years. She has written weekly columns - Dirisina Dani and Ariveya Haravu - for Bhumika. Shailaja has worked at the Hubballi bureau of the daily for six years. She headed the Metro - a city and lifestyle supplement, for two years at Hubballi and introduced new columns - est kadtee nanna, nammur kade mandi,modala notada achchari, chadangadi,vishaya vistara, nodeerenu ivranna?, kalayatre, en samachara?, Hasiru Siri, Green Room, Payanadali Idenidu, Ah Svada etc. She is currently heading the Muktha Chanda and Chandanavana team. She has been trained in Long Form Writing and Magazine Design by the WAN-IFRA organisation. Health and well-being, lifestyle, beauty, fashion, modelling, woman, art and culture, folklore, food and nutrition are her areas of interest. Chief Sub editor, Sahapati Section. 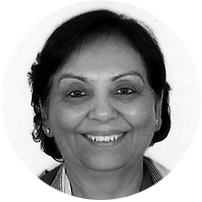 Rashmi S is a senior journalist with 16 years of experience. 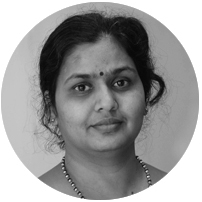 She joined Prajavani (Mysore Printers) as sub-editor in 2001. In last 16 years she has contributed to Sudha (weekly Magazine) and Mayura (monthly magazine) of Karnataka. 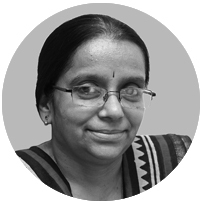 She has played a significant role in supplements like Prajavani Metro – a futuristic supplement for urban and semi urban readers, Karnataka Darshan, Kshema-Kushala, Gulmohar sections besides being in charge of Bhoomika (women focused supplement), Health and Education supplements of Prajavani that resonate with diverse sections of readers in the state. She played main role for conceptualizing and implementing the School Edition (Sahapati ) and is instrumental in introducing novel features on Yoga, inspiration and holistic development of students . She is a well-accepted columnist under the pen name of Mrudula. She has narrated column Ankura (related to Male fertility) which has published in book form by Prajavani publication. She is known for her interaction with readers and innovative ideas that are locally relevant but have a global focus. She is also a renowned artiste of All India Radio since 2001 speaking on diverse aspects of social transformation. She is a keen follower of arts, culture, cinema, folklore and life in general, she is experienced in reporting, editing, writing articles and columns and even penning poems besides theatergi, radio talk shows focused on developmental challenges. She has a distinct style of writing, with interest in Gender, women and child development and creating social impact through innovative style of writing. Senior Sub-editor, Section Chief, Metro section. Passionate about journalism, fond of ideas, innovation and experiments, Ghanashyam loves to identify and encourage new thoughts in his colleagues. He believes that chasing the dream is breath of every second. His experience of various supplements and SUDHA magazine shaped his interests and learning discipline. 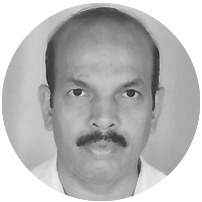 He has worked as District Correspondent of Chikkamagalur and as Senior sub-editor at Tumkur bureau. He has a keen interest in cinema, social media, multimedia, technology, urban lifestyle, agriculture, personal finance, national defence, literature, folk arts among other subjects. Raghunatha was born at Haralapura of Madhugiri Taluk, Tumkur District on November 1, 1974. He studied Kannada M.A. and M.A. in Journalism. He also passed out from Asian College of Journalism completing a PG diploma. 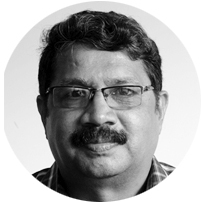 He has over eighteen years of experience in journalism and currently serves as Chief Sub-editor in Prajavani. His areas of interest include film, literature and culture. Praveen is in charge of KARNATAKA DARSHANA and KAMANABILLU supplements. He has over 18 years of experience in the field of journalism. His articles are focused on development activities & civic related issues. He also covers interesting human-stories (Did series of stories, when North Karnataka witnessed floods in 2009). He has also covered Test and ODI cricket matches held across India. B M Haneef started his career as a Junior Accountant in Brahmavar Sugar Factory. He joined Mungaru daily in 1984 and served as Sub Editor/ Reporter for five years before joining Prajavani as Sub-Editor in Bengaluru. 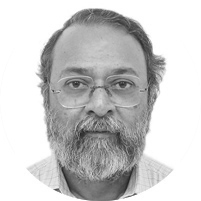 In his 28-year stint in Prajavani, Haneef has served in various capacities such as Senior Sub Editor, Chief Sub Editor, Bureau Chief and Assistant Editor across Bijapur, Mysuru and Bengaluru editions. He has 10 books in Kannada to his credit including a poem collection and a short story collection. He was born in Bellairu, a village near Mangaluru, Dakshina Kannada. He is a Commerce graduate from Mangaluru University. 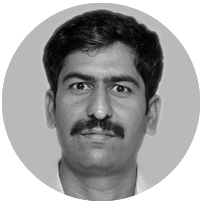 Sandeep joined Prajavani in the year 2005 as sub editor. Presently he is working as senior sub editor in Mayura. Sandeep holds a B.A. and B Ed degree and has three books to his credit – Godege Bareda Navilu (short stories), Aganita Chahare (poems) and K.V. Jayaram (profile). For seven decades Deccan Herald and Prajavani have told the daily story of Bangalore and Karnataka, setting the standards for excellence in media since 1948. These iconic newspapers have been a nursery for journalistic talent, having produced some of the finest names in India's bustling media industry. Today, as we transition from a legacy print media company to a diversified digital media group, come be a part of this exciting journey. If you are a marketing executive, printing technologist, consumer insights expert, software engineer or talent management specialist, and you're looking for a challenge, get in touch with us. On the other hand, if you are a journalist, writer, video expert or media producer with a hunger to pursue high-quality, independent story-telling and a passion for news, please apply within.